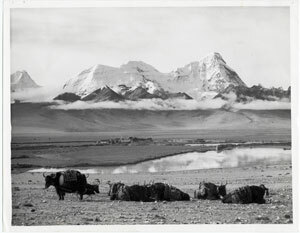 The Tibet Album website provides unprecedented access to more than 6000 photographs spanning thirty years of Tibet's history. 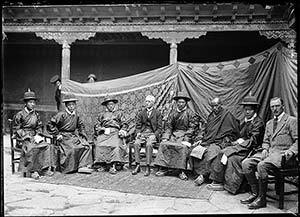 The majority of these photographs were taken by an elite group of men who visited Tibet as civil servants representing the British Government. The period between 1920 and 1950 was marked by increasing warmth in Anglo-Tibetan relations and a greater ease of access to the country from the centres of colonial power in India. The photographs featured in this site therefore reflect the topography of the routes used by the British to reach the capital of Tibet (Lhasa) from the Indian side of the Himalayas and are concentrated in south and central Tibet. In many ways these photographs are the product of a particularly British engagement with Tibet at the height of colonialism. However, the time frame in which they were made documents an era when the influence of the British Empire was actually beginning to unravel in Asia: by 1947 India had gained its independence from Britain. Tibet's position on the fraying edge of the Empire meant that it was of significant interest for British trade and diplomacy but it was never colonised. However the country exerted a powerful fascination in the minds of many British subjects. This was fuelled by the photographs and publications of the privileged few who managed to enter Tibet and to live there for months at a time. 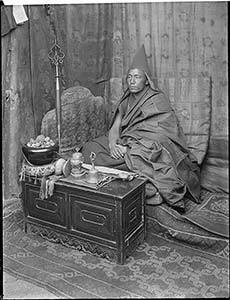 The photographs contained in The Tibet Album reproduce the ways that Tibet was imagined by the British at a particular historical moment. They also offer profound commentary on what Tibet was and has become. The Tibet Album photographs illustrate the strength and richness of Tibetan culture. People, buildings, landscapes, sites, ceremonies and the complex fusion of the sacred and the secular in Tibet are depicted in extraordinary detail. 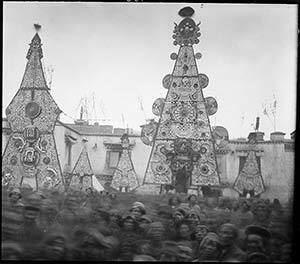 The range and variety of these photographs have great potential for visual and historical research. Importantly, they also often constitute the only surviving record of many aspects of Tibetan life now lost through the political and cultural transformation of the region, most notably in the latter half of the twentieth century. It is hoped that The Tibet Album will prove useful for Tibetans in reconstructing, maintaining and engaging with their own histories and identities, both in Tibet and the diaspora. 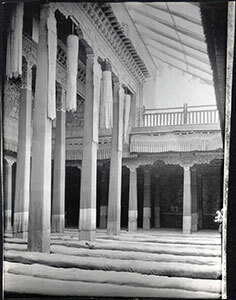 Additionally, the photographs taken by key figures in British diplomacy and scholarship on Tibet had a cumulative impact on later generations, creating a kind of photographic lineage. So when some of the remarkable images produced by Charles Bell during his 1920-1 stay in Lhasa were reproduced in his books and lectures, they inspired his intellectual and diplomatic heirs and were fixed in the memory of many people. This explains the significant overlaps between the collections, as particular photographs were frequently exchanged between the photographers: for instance, Spencer Chapman prints were acquired by Richardson and vice versa. Furthermore, these 'multiple originals' can be found in each museum where they have been used (in albums, slide lectures, etc.) to construct different visual narratives about Tibet.